As I’ve mentioned in my previous entry, November is Prematurity Awareness Month, so it’s only reasonable that I talk about it a little bit more this month. With River and Lydia approaching their first birthday, I’ve found myself in an emotional chaos. 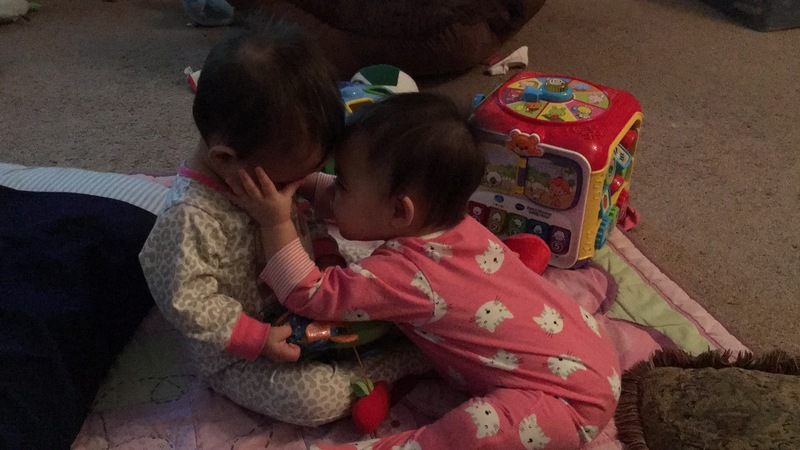 It’s a mix of feelings, ranging from excitement that they’ve grown so much since being born at 28 weeks and a heavy feeling of dread because they’re so behind in their developmental skills. It’s beginning to show more and more as they approach their first birthday. I can’t believe it’s been almost a year. Sure, they were born three months early. Of course there will be delays and it all involves patience and lots of love. However, it’s only normal to feel this way – or so I am told by my amazing, small, and close-knitted group consisting of less than 200 preemie moms – and it’s even more normal to compare them to what babies their actual age are doing. River and Lydia will sit up nicely if we plop their little butts down, but have yet to be able to pull themselves up to a sitting position unattended. They haven’t started to crawl, they’re still working on their reach and grabbing finger foods. 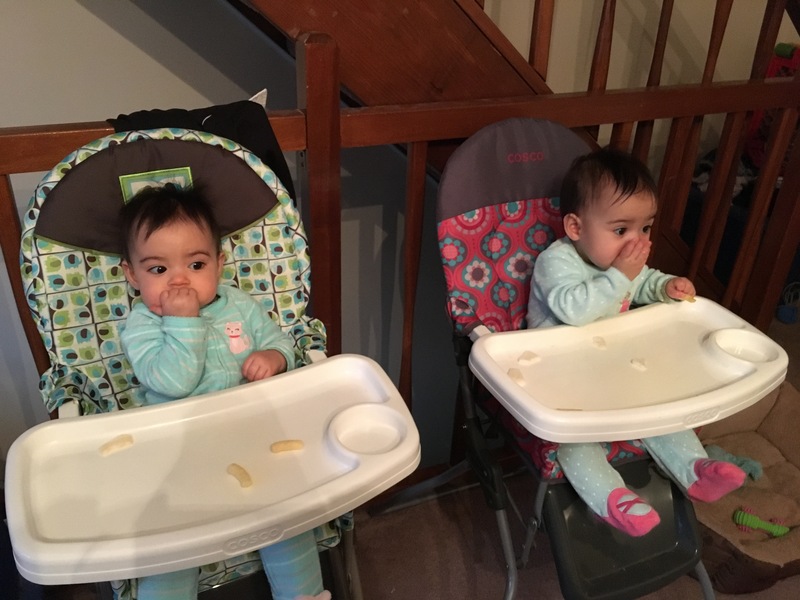 They don’t hold their bottles up by themselves to feed yet, they don’t have teeth yet (even though we did just discover Lydia has a bottom front tooth coming in, and it’s adorable and scary at the same time), and they’re still wearing 6-9 month clothes. That’s not even mentioning dreading Wednesdays, their Early Intervention session days. The girls love their EI guy, we really like how he works with the girls, and he seems to enjoy working with them. He does have some good strategies and points, but they don’t seem to stick with the girls when we start practicing on our on time. Not only is it a little frustrating, but it makes me feel like an inadequate mother. 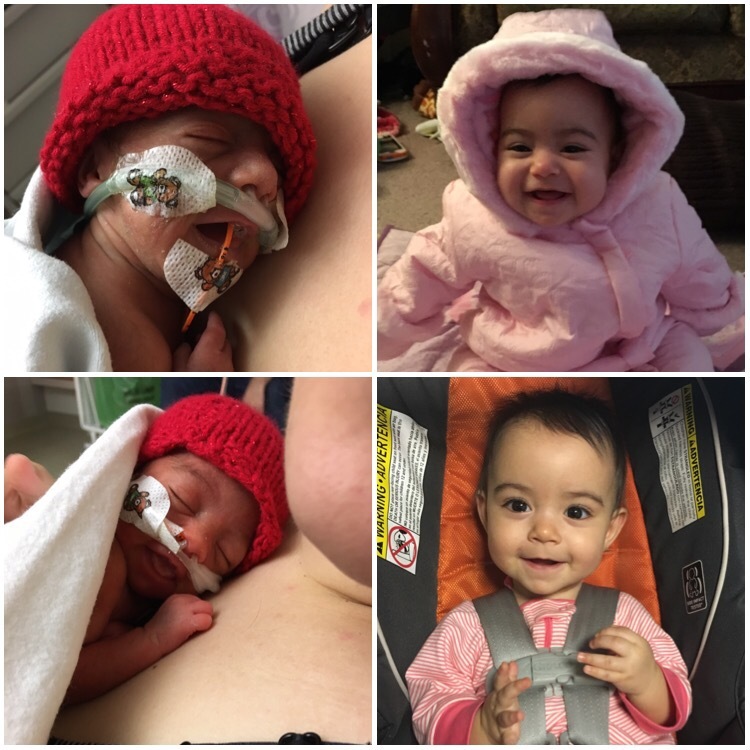 I’ve found that biggest toll prematurity takes on you as a parent isn’t just the early labor and the NICU stay – even though that alone often is pretty traumatizing and sudden – it continues on throughout their development, especially in the first year or so. I’ve also put myself under a lot a pressure by talking about the girls and their development openly and frequently, so I have to make sure I’m losing it over their delays and that I have to remember I’m not alone in being in this situation, and it just makes it harder to “let it go”. I do know that babies will do what they need to do in their on time, even with all the help in the world, and River and Lydia are doing amazing even with their delays. They eat solids three time a day, they can primitively munch down on teething wafers and little puffs, they can put Lil’ Bits in their mouths, they sleep well, they’re very vocal, and they’re growing. I’ve considered requesting two weekly EI sessions for them, I’ve been trying to ignore what my friends’ babies are doing in their actual age, trying to block out strangers trying to guess their age (“Aww, are they 6 months?” NO) and asking me if they’re crawling all over yet. I know it’s not done maliciously, only out of curiosity, but damn, strangers, chill! Mind your own business, or learn to be a little more considerate if you want to ask questions. As for me, I’m not super sensitive about questions regarding the girls anymore, but it kind of gets to me after they all stack up and start repeating themselves. Let’s not forget that I’m only human. Prematurity doesn’t just affect the babies – it also affects the parents. Worries, fears, lots of appointments and paperwork, lots of figuring things out, never-ending adjustments, and the judgment and criticism coming from those who think you’re going overboard when they really have no idea that there’s a method to the madness… It’s overwhelming. But we’ll truck through this together and calmly, and at one point we’ll all laugh about this together while the girls do cartwheels around the house and run up and down the stairs. Until then, I’ll keep calm and carry on. Or is it “I can’t keep calm, I have twins”? Eh. Whatever. I’ll just keep calm.